ONE of opera's biggest names will be doing more than singing for his supper when he performs in South Tyneside next week. North East-born star Graeme Danby talks about his life and work – and sings some of his favourite songs from his 30-year career – at the Customs House. Students from the University of Sunderland have taken over the South Shields venue for the entire month to stage a programme of theatre, dance and visual arts. Consett-born Graeme is among the famous names – including actress Melanie Hill and local popstars Frankie and the Heartstrings – who have backed the month-long festival. But the principal bass with English National Opera has gone one step further, and is taking part as a guest performer on Monday. He said: "I have always loved to sing. I captained Ponteland High School at both football and rugby union, and I would tell the squad that if they did not sing in the choir or appear in our Gilbert and Sullivan productions, I would not pick them for the team!" 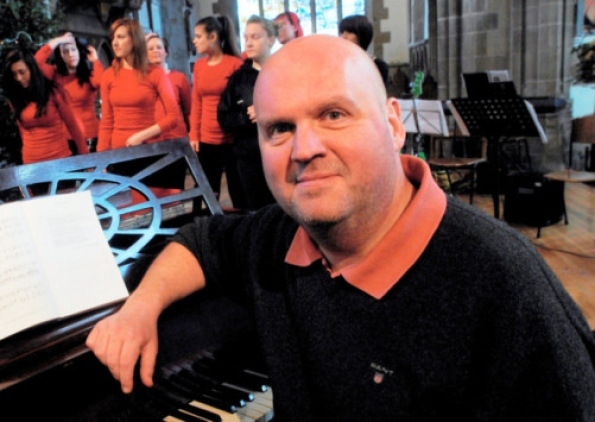 Mr Danby will be joined by his accompanist, Lyndia Newland, who will be flying up from London for the performance. The singer is taking 45 pieces of music with him – from opera to musical theatre, Flanders and Swann, and folk songs of the North East – but will decide on the night which 12 he will sing. The world-renowned opera star has sung at theatres around Europe, but he also loves North-East venues and has performed at St James's Park before Newcastle United home games. But though Mr Danby will be giving his all for his audience at the Customs House, he is staying tight-lipped about what he will be talking about: "I'm sure there will be plenty of surprises!" An Evening with Graeme Danby takes place on Monday from 7.30pm at the Customs House, Mill Dam, South Shields.